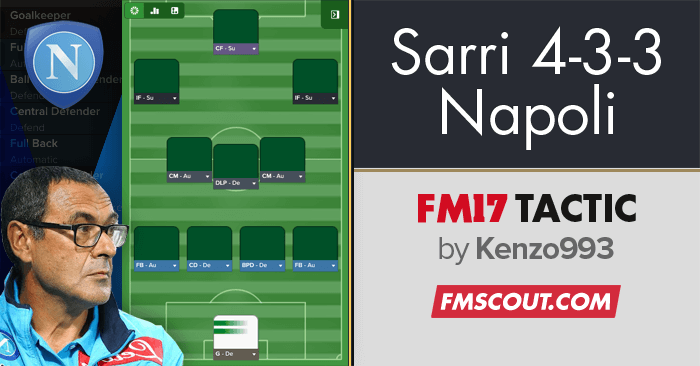 Napoli plays a simple game, but very organized, able to impose their tempo to any opponent, and to exploit his weaknesses. Napoli make the organized pressing his main weapon when it isn't in possession of the ball. The enormous organization of the pressing has proved by very interesting statistics: SSC Napoli is the team with less contacts attempted 23.2 and also the team with fewer fouls 10.2, a figure that confirms the coach's hand putting behind the work culture and not just the spectacular phase and offensive football. Napoli also is the one that loses less balls in the league with an average 10.4 and this is a static which identifies it as a team that makes the possession game his main weapon, as you highlights from the average of 667.5 pass per game. One of the strongest weapons of Naples is definitely the midfield trio with the coach who has managed to bring out their best feature: the dynamism. Hinge and focus of the team is Jorginho (in turnover with Diawara) that combines a great sense of the defensive phase to a phase construction of great quality. 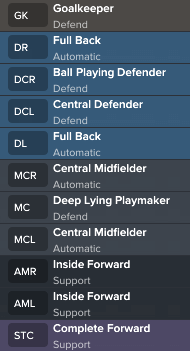 Just the midfield dynamism enables high wings to do well the two phases of the game, by acting as external midfielders in during the non-possession phase. Mertens retreating allows aggressiveness and fast transitions with wings who become protagonists in one vs one. During the pressing phase are the two midfield interior that go beside Mertens to allow two high wings external to retreat to reform the midfield line. Ghoulam is more offensive and its overlap leads to a series of linked movements: Insigne cut in the field with freedom of movement, Hamsik is limited to providing a secure support for the Ghoulam-Insigne chain, Mertens alternates match movements to movements in depth while Callejon from the opposite side is ready for insertion behind the defense. However, when the attack is on the right side with ball on Allan: Hamsik rises going to take a offensive playmaker position ready to receive a pass or try the insertion, Insigne is centered going to play near Mertens while the Belgian alternates movements towards the ball to movements in depth, Jorginho maintains its position by providing a support for the ball carrier (in this case the right midfielder) and Hysaj tries overlap with Callejon who can decide between going towards the ball or providing a support to the right back. I really like this! 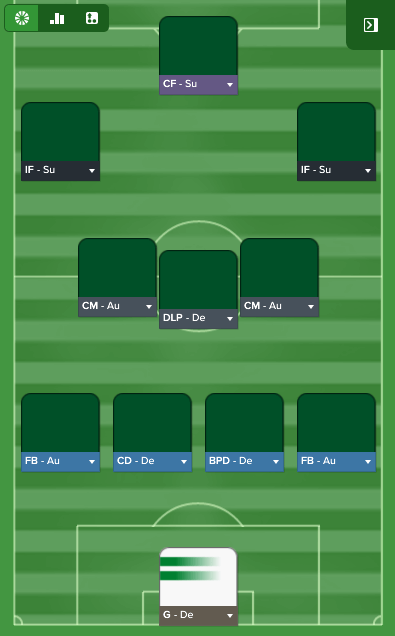 This was kinda the tactic i was looking for. But i find it hard to make my strikers do good. I don't know if i just have to play more with the tactic, or would it be a possibility to put on "Work ball into box" and maybe put the wingers and the striker to shoot less? 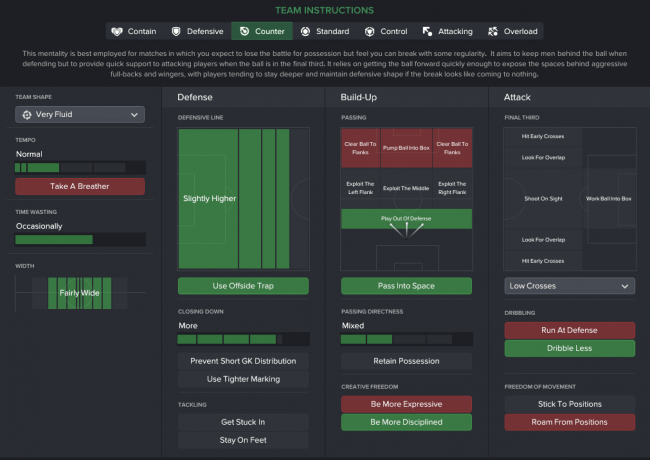 hi,i like this tactic and I like to ask one question, when I am playing lower sides can I change the mentality? Very good tactic, mate. I tried (unsuccesfully) to replicate Sarri myself, but won championship with Nottingham Forest with your tactic.. Only problem was, that opponents started congest space near their penalty area and my players were still trying to pass through the central space.. I tried to tweak it many times, but it is hard to stretch the opposition with this..